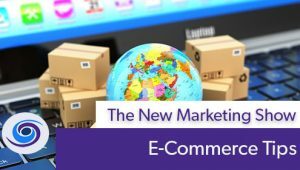 Get ready for some E-Commerce tips from Trinity Web Media. Not all E-Commerce sites are the same. The devil is in the details, here for sure. Trinity Web Media sees and reviews a lot of WordPress based E-Commerce sites that underperform, because user experience details are neglected. When dealing with an E-Commerce WordPress site it is important to create a unique user experience that may perhaps differ from the user experience created on the main site. Remember websites and content marketing can not be all things to all people. The shopping experience varies site to site and the most important issue to address is whether or not the shopper can find what they are looking for and purchase the item easily. There is no hard right or wrong here. If your site draws people in and they can easily purchase items then it is a winner. If shoppers get frustrated and exit the site with items in the cart — things need to be fixed. 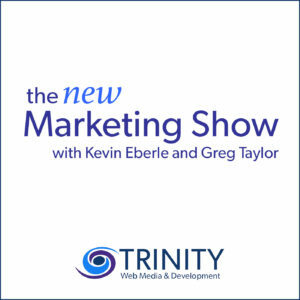 The New Marketing Show, by Trinity Web Media, is the only marketing podcast that focuses on solving business problems through effective marketing. Subscribe and enjoy the journey with your hosts Greg Taylor and Kevin Eberle from Trinity Web Media.